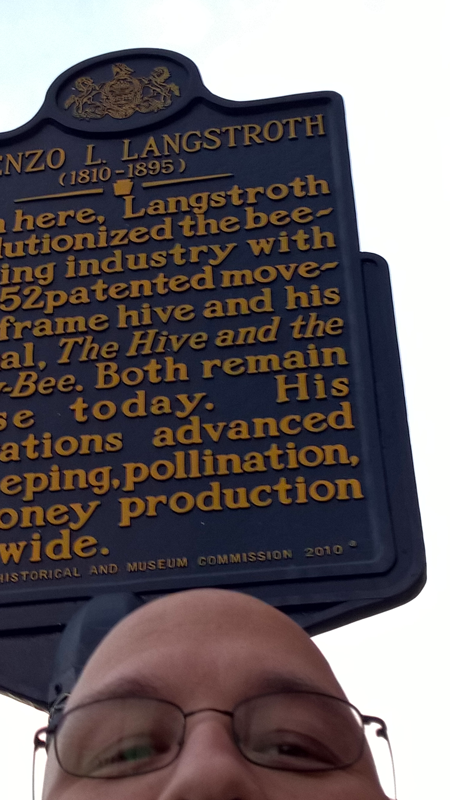 Found the Lorenzo Langstroth Marker at Front Street Philadelphia. I was in the city doing an Application Showcase for work and wandered down late in the day. I had been looking forward to the day of getting a chance to go there.